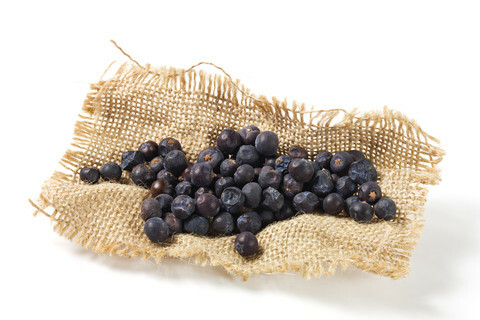 Juniper berries characterizes gin flavour and comes from the colder regions of Europe and North India. It is a popular seasoning for venision dishes and German Sauerkraut. Juniper is a bluish black, small, pea-shaped, ripe berry. It is dried and used whole, but generally crushed lightly or coarsley ground before use. Juniper's flavour is woody and astringent with sweet, lemon and pine-like overtones. It has a gin like aroma with a slightly bitter aftertaste. It's flavour is released when it is lightly crushed. It contains calcium, vitamin A, potassium, phosphorus and magnesium. 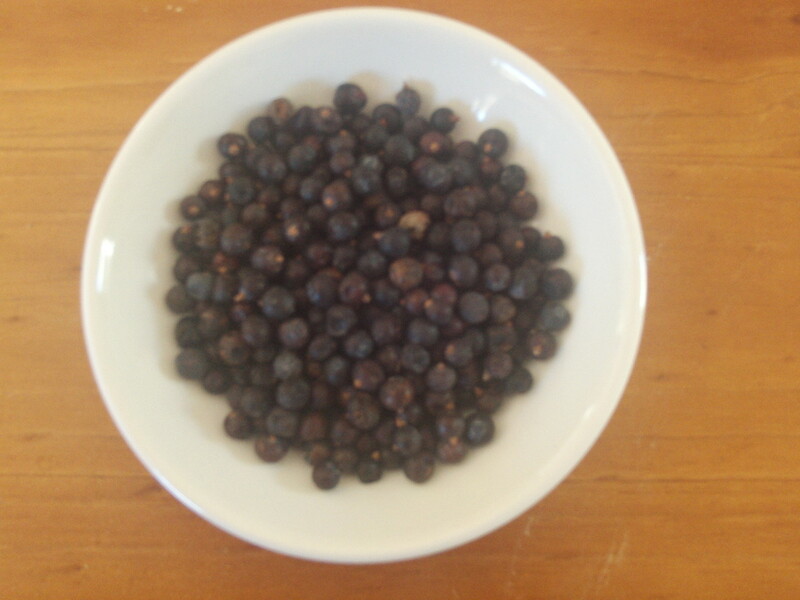 Juniper Berries are commonly used in England and Europe to flavour pork and remove the strong gamey flavour from roasted or barbequed wild meat such as venison, and wild boar. It is also used in liver pate and stuffing. Juniper berries are often added to cheeses, goose, pot roast, pickled meat and sea food. It pairs well with black pepper, bay leaves, vinegar, cabbages, and alcohol for marinades.